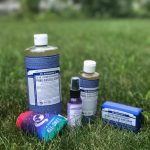 This is a guest review by Kristin Wuhrman. 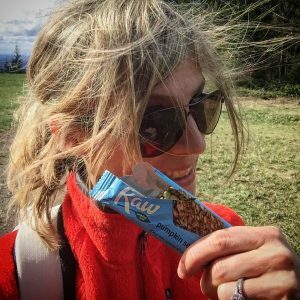 GoRaw Banana Bread Sprouted Bars were included in the Fall 2016 Vegan Outdoor Adventures Seasonal Sample Box. goRaw Sprouted Bars Rock! 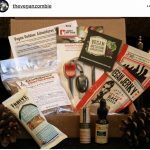 I was stoked to see a sample of the Sprouted Bar included in the Fall VOA Sample Box! As an avid runner, hiker and outdoors gal, proper nutrition that’s clean and serves a purpose is very important to me. Not to mention, I’m also a plant-based health coach so I’m always analyzing ingredients vs. label claims. goRaw Sprouted Bars are “real food”. The seeds are cleaned, soaked, sprouted, and mixed by hand. By gently drying goRaw products in their state of the art custom dehydration rooms, they are able to preserve powerful nutrients and enzymes. 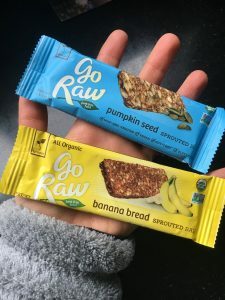 There are 5 different flavors of goRaw Sprouted Bars (Sweet Spirula, Chewy Apricot, Banana Bread, Raisin Crunch and Pumpkin Seeds) and 2 sizes (.4oz and 1.8oz). goRaw offers a plethora of healthy junk free snack varieties (over 45 products) that have all been crafted from raw, organic sprouted ingredients. What does this mean? You get a nutrient-dense enzyme-packed snack that is always vegan, non-GMO, gluten free and raw. Boom! So, why is raw so important? There are numerous benefits as the process of cooking can destroy much of the enzymes and nutrients in foods. By keeping foods raw, you are able to preserve more powerful nutrients for optimal health benefits. FYI – in this case, raw is defined as keeping dry (dehydrated) under 105 degrees F.
Freeland Foods was started in 2002 when founder and CEO, Robert Freeland, started selling flaxseed crackers at San Diego’s Ocean Beach Farmer’s Market under the goRaw brand. They sold out quickly! Today Freeland Foods is the world’s largest raw food manufacturer. Take your goRaw bar next time you are on a 2-3 day hike and it will grow sprouts by the time you are back to the trailhead. (Or try at home.) This test proves that the product is truly live and the enzymes are still there. It’s the sprouted flaxseed that continues to grow after it’s dried. Even the bars with sunflower seeds will do the same. Did you know that sprouted seeds are easily digested too? All goRaw Sprouted Bars have between 4-6 ingredients. That’s it! They are minimally processed, however there are no harsh processing aids and the plant itself is sun lit. Only sustainable seeds are used and they source locally when available. Almost all ingredients are fair trade. They even use fresh bananas and fresh dates. The flavor and texture scream natural and healthy. They each contain a little bit of a different combination of natural sweeteners (from dates, to raisins, to agave), but in very small amounts so the sugar count is very low. The goRaw Sprouted Bars are my go-to choice whether it’s for an on-the-go snack or regular fueling while out in the backcountry. They will truly keep you going until your next meal. Thanks again VOA for including this in the Fall Sample Box! Kristin resides in the Seattle, WA area where she is joyously surrounded by mountains, trails and water. 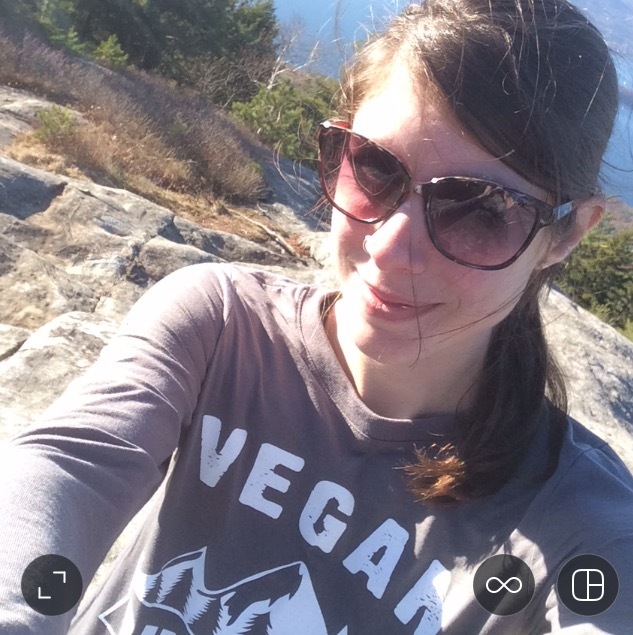 As an animal lover (she has 6 cats, all rescues), a vegan athlete and an outdoors enthusiast, she feels lucky to live her many passions every single day. Kristin and her husband enjoy canoeing, mountain biking, hiking, mountaineering, golfing and playing pickleball together. 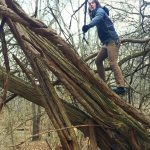 She and her husband feel very fortunate to have so many natural options around them in the Pacific Northwest, as well as their friendly neighbor British Columbia, Canada. 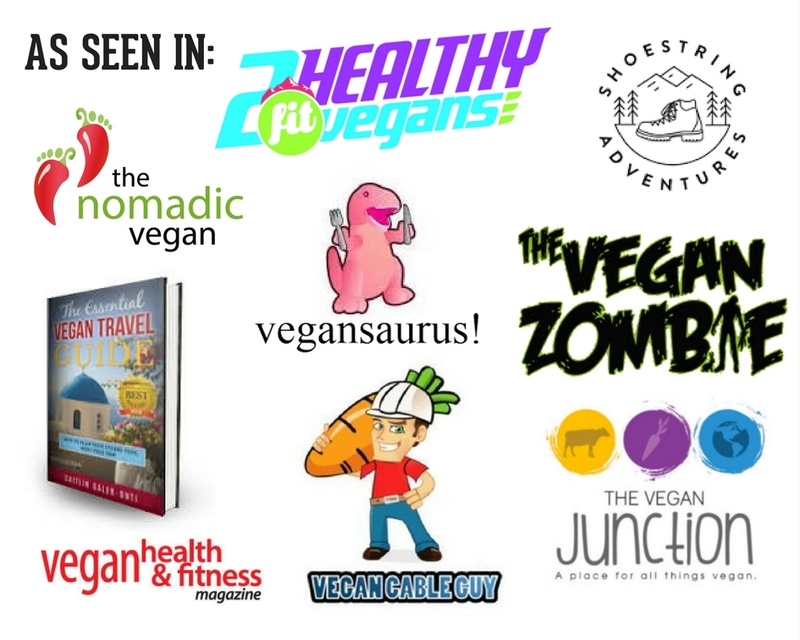 Kristin (aka Miss Bellevue Vegan) owns BEVEGAN® Plant-Based Health Coachingwhere she helps people transition into or understand the benefits of a whole-food, plant-based diet. She works with health nuts, athletes, outdoor enthusiasts, families and those interested in long-term health. She’s a proponent of living authentically, developing mindfulness, following your dreams, and creating lasting healthy habits. She offers free phone consultations to learn more if plant-based health coaching is for you. Schedule here.